A lineup of HARMAN’s Martin lighting fixtures are illuminating the way for acclaimed metal band Mötley Crüe’s final tour. A lineup of HARMAN’s Martin lighting fixtures are illuminating the way for acclaimed metal band Mötley Crüe’s final tour. Lighting designer Matt Mills deployed an array of Martin MAC Viper AirFXs, Martin MAC Quantum Washes and Martin Atomic 3000 DMX strobes in a light show intended to dazzle huge arena crowds. Mills’ previous work includes tours with Nelly Furtado, 3 Doors Down, Disturbed and Linkin Park. The tour began in July 2014 and has covered more than 80 cities in the U.S., Canada, Europe and Australia. The tour will wrap up with a three-night run at the Staples Center, culminating in a final show on New Year’s Eve. 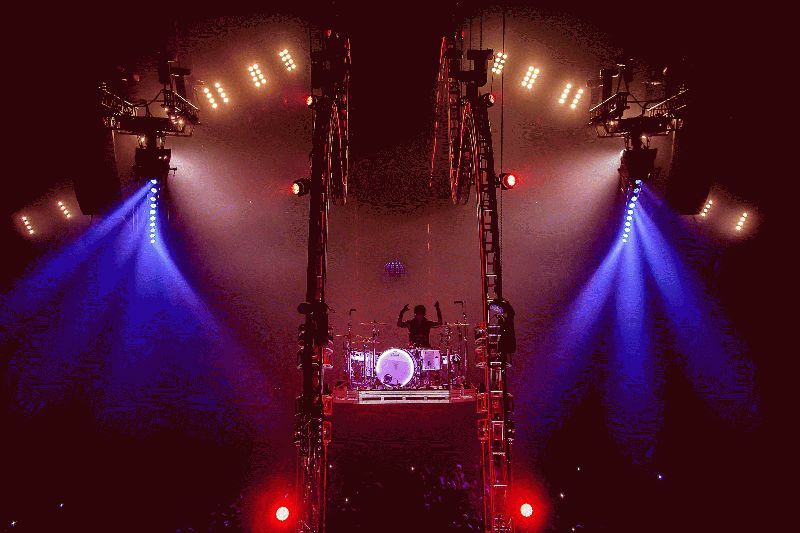 The stage concept is centered around drummer Tommy Lee’s famous “Crüecify” drum kit, which is attached to a platform and fastened to two metal tracks, nicknamed the Tommy Coaster. The drum kit is welded to plates on the track, with secondary attachments for the individual parts. 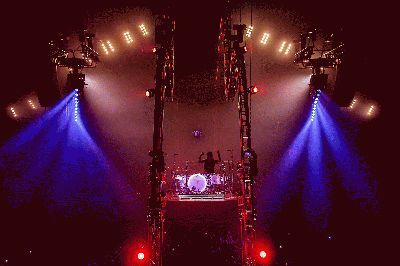 Lee’s drum solos begin on stage before he and his drum kit move slowly up the track, rotating 360 degrees during the ascent, going as high as 60 feet above the stage before descending. Mills says the Tommy Coaster has drawn huge applause from audiences. "Tommy wanted a look similar to airport runway lights,” Mills said. “The Crüecifly has two runs of truss, each approximately 200 feet long, that support Tommy's drum kit during his solos as he slowly rides on the tracks, starting on the stage and ending up at a landing platform behind the front of house (FOH). It’s pretty wild." With the goal of creating an extravagant light show, Mills selected 36 MAC Viper AirFXs, which provide huge aerial looks and rich textures for the stage setup. He also noted the MAC Viper AirFX’s zoom capabilities and gobo package, which he said allowed him to experiment with lots of over-the-top lighting designs. Mills added 10 MAC Quantum Washes to the trusses to provide adequate front wash for both Mötley Crüe and supporting act Alice Cooper.